Earthquake Prediction: 3.9R in Oklahoma, <---Good Prediction! 3.9R in Oklahoma, <---Good Prediction! 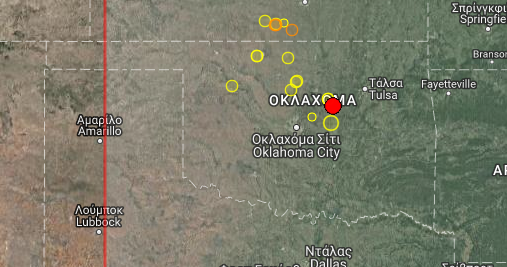 A 3.9R was reported yesterday in Oklahoma, at the location shown below and from the map above. Our prediction was for (37.2,N 97.2W), the error within a degree more or less, Good enough for our means for now.